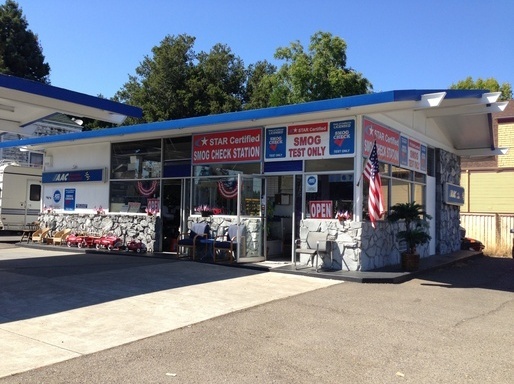 AAC STAR Test Only Smog Station strives to offer the best in fast, efficient, service, and customer satisfaction. Family run and operated, we are Alameda's test only smog station. "With April showers, make sure your tires have plenty of tread." "We just call it great service." "When it comes to taking care of our customers, we always go the extra mile." "You can trust that your car is in good hands." "We care about your thoughts as much as we care about your car. http://bit.ly/2I6yDiM"
Fixed a flat tire in less than 15 mins. Great service. Very knowledgeable mechanic. I am a repeat customer and will continue to be. Yes, I'd like to receive news from AAC STAR Test Only Smog Station. Sign up for the AAC STAR Test Only Smog Station Newsletter!